Striking photographs of 120 influential figures of the twentieth century highlight a singular sartorial detail that the stars wore first and that, as a result, redefined fashion. 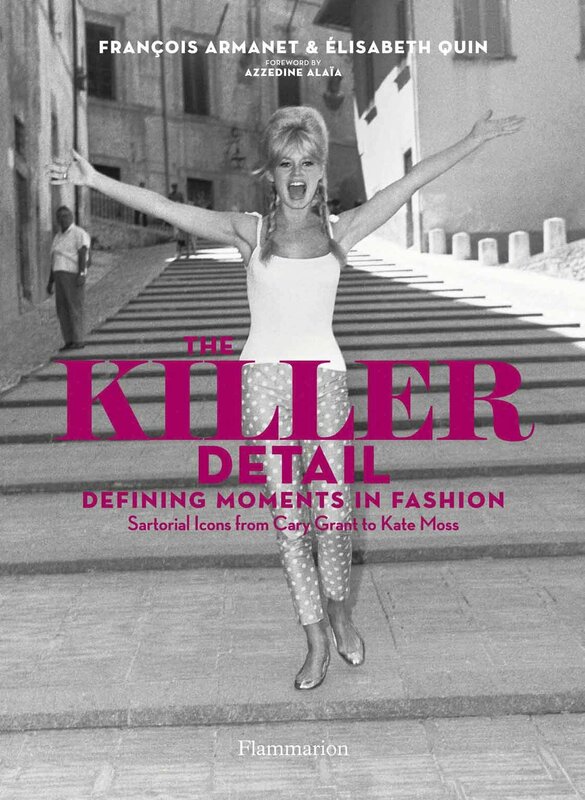 In a series of iconic portraits accompanied by insightful and sometimes dishy text, this volume examines the most influential stars of the twentieth century and the “killer detail” that made them stand out and for which they would forever be remembered. If what Stendhal called “the charming little flaw” is what inflames desire, then the killer detail is the harbinger of true elegance. It is a particular feature that catches the eye, encapsulates an attitude, or refines a style, distinguishing the wearer from the crowd. The Killer Detail is a veritable fashion show featuring writers, artists, performers, and models who all left their mark on the twentieth century as bellwethers of style: from Marlene Dietrich’s pantsuit to Kate Moss’s skinny jeans; from Liz Taylor’s leopard-print swimsuit to Jimi Hendrix’s military jacket; and from Thelonious Monk’s beret to Frank Sinatra’s fedora. These are the individuals who dared to invent new perspectives in fashion and adopt fresh trends that would be reinvented by others continually for years to come.